have thought, what a sweetheart. Gifted, gifted, they all said it. how you like your luck? eyeful. She was here and far. I have little faith in beauty. old for this sort of thing. __ what about the wires? What about the mounds of balls? they’re out of my hands. of Departures, I haunt Arrivals. I still know what I’m doing. off-whites that read white. Snow White. __ of a white noise machine. and back again. This one? Flip. Or that. Mine? Or not. __ If mine, how much? How long? I go to face them. I can drown them out. 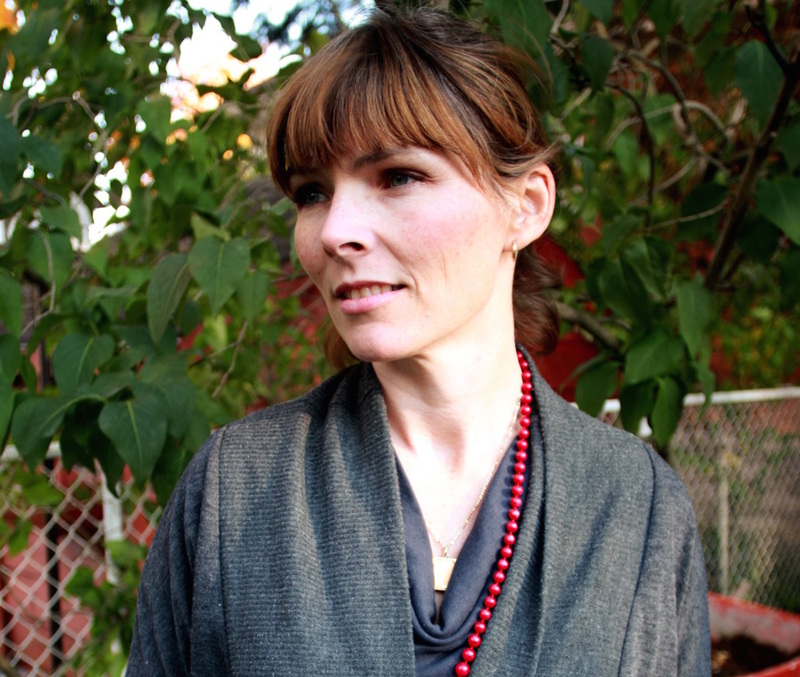 ADRIENNE BARRETT is a writer and bricklayer living in Woodstock, Ontario. “The disintegration” poems, which riff on the life and art of Eva Hesse, belong to a set of poems about various disparate public figures “as children”. They, along with “Crimson”, are taken from The house is still standing, to be released in late April under the Ice House imprint of Goose Lane Editions.